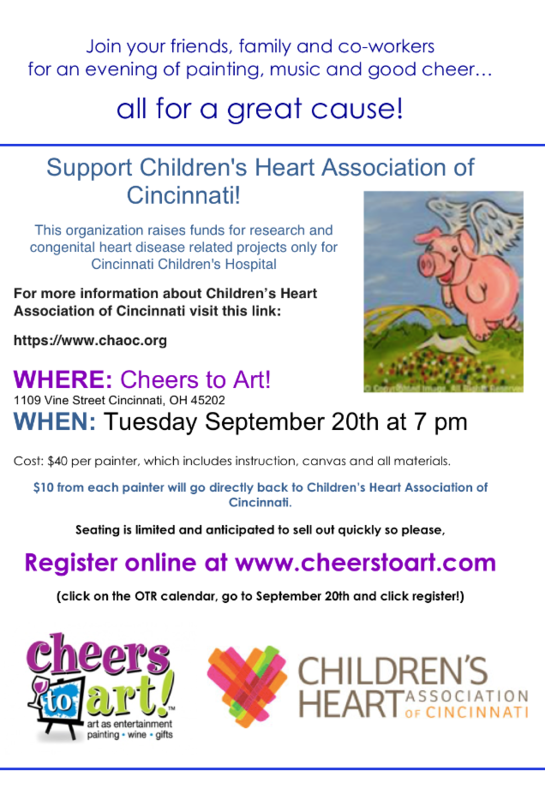 The Children’s Heart Association is excited to announce that we will once again join our great community partner, Cheers to Art, in offering a fun-filled evening of painting for our great cause! 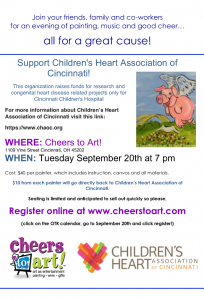 The cost is $40 per painter and $10 of each registration will go back to CHAoC! Seating is limited so don’t delay. Register by clicking on the link below.